To be built within two years from now, Magna Prima's mixed development will involve an estimated 180 shop-office units and 1,600 serviced apartments. Magna Prima Bhd (MPB) is proposing a mixed development project in Shah Alam with a gross development value of RM833 million, with the latest acquisition of 8ha (20 acres) of land worth RM100 million. Paying about RM115 per square foot, MPB chief executive officer Datuk Rahadian Mahmud said the leasehold commercial land would be an important asset for development while increasing the company’s footprint in Shah Alam. One of MPB’s development plans is a mixed development involving an estimated 180 units of two-storey and three-storey, low-rise shop-offices and four blocks of serviced apartments with a total of about 1,600 units. Development of this project is scheduled to commence within two years. Rahadian highlighted that the land comes with a wide frontage of almost half a kilometre facing Persiaran Selangor. The property is also visible from the Federal Highway. Persiaran Selangor forms the main access road for Section 15 and Section 16, two established commercial and industrial hubs in Shah Alam. 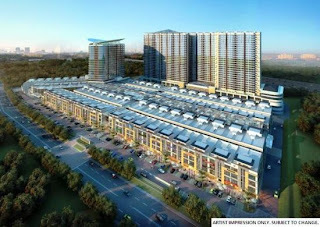 The property has direct access to the Federal Highway and easy accessibility to other expressways such as the North Klang Valley Expressway (NKVE), North-South Centre Link, Shah Alam Expressway (Kesas), Leburaya Damansara Puchong (LDP) and the Guthrie Corridor. The parcel’s proximity to other public amenities such as KTM stations, a private hospital, a hotel, educational institutions and a stadium are expected to fuel its appeal to investors and owner-occupiers alike. An investment holding company listed on Bursa Malaysia, MPB is involved in property development, construction, trading and property management services.